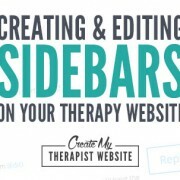 Blogging is an important marketing task for mental health practitioners. It helps potential clients who are searching online discover your practice. But when you run your own private practice, you can end up wearing many hats throughout the day. You’re not just the counselor, therapist, or clinician. You’re also the office manager, the billing department, the support technician, the receptionist, and the marketing director all rolled into one. With so much going on, it’s understandable that you may feel a little overwhelmed. The good news is there are ways you can simplify your blogging process so it takes less time from your busy schedule. 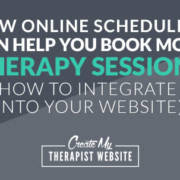 Imagine if you stopped making appointments for your clients and instead invited them to pop in whenever they felt like it. 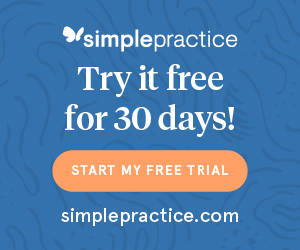 The result would be an unpredictable schedule that may result in confusion and would likely mean you would struggle to get to the all- important tasks you need to accomplish to maintain your practice, such as returning calls, billing insurance, and completing session notes. 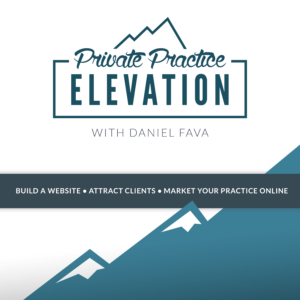 Soon, you would feel like your practice is running you, rather than you running your practice. The same is true for blogging. Without a schedule, blogging may become an after-thought, or a task that you just don’t get around to as often as you hope. Setting a schedule and blocking of time to write is the best way to prevent yourself from getting behind on your blogging routine. Your schedule doesn’t have to be hard or complicated. And, you don’t have to start off blogging weekly. When you’re first starting out, you might only want to commit to one blog post a month for the first few months, and then increase your frequency as you find your groove. The important part is to commit to a schedule, book it into your calendar, and follow through. Once you have a blogging schedule, you know how many posts you’ll need to write every month. A savvy way of writing blog posts is to batch. The idea behind batching is to write a series of articles in succession about a similar topic. It’s even more effective if you are able to write them over a few days. The beauty of this process is that you are creating a few blog posts about a particular topic, making it easier for ideas to flow. It doesn’t mean you have to publish each post in succession. When you sit down to blog, eliminate as many distractions as possible. Consider putting your phone on silent and try to mute notifications on your computer. If you find it too distracting to work in your office, go to a local coffee shop or another quiet area to help you disconnect. Sometimes, the best way to make sure a task gets done is to enlist an accountability partner. An accountability partner is effective because you know you’ll have to give them an update later. 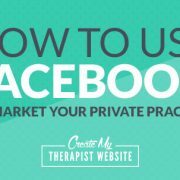 If your accountability partner is also blogging to build their private practice, you could become writing buddies. Arrange to meet up in a quiet location such as a library or hotel lobby or, if you don’t live near each other, meet virtually on a free video platform such as Skype and work on your individual posts at the same time. When you begin your active working session, you and your partner should both set a goal for how many words or posts you want to complete. Take a break in the middle of each working session, checking in to see if you are on track to accomplish your goals. If not, find out how you can support your accountability partner move past writer’s block, motivation dilemmas, or other challenges. At the end of your working session, check in with each other and report your success. You might even find that a friendly competition helps. Perhaps a cup of coffee or glass of wine is on the line. Another way to have fresh content for your blog is to pay someone else to write it. While you’ll pay for each blog post, usually based on the number of words, you may find that the amount a freelancer or outsource contract costs compared to the amount you charge per hour is a savvy expense. One note about outsourced blog content. It is unlikely that any copywriter will create content that sounds just like you. Therefore, you should be willing to spend a few minutes editing the content once you receive it to use specific word choices and examples that sound like you. If you are going to outsource, make sure you select someone who has a strong portfolio and understands your business. If you don’t know a writer, ask for recommendations from other mental health practitioners. They may know a writer who would be a great fit for your blog. 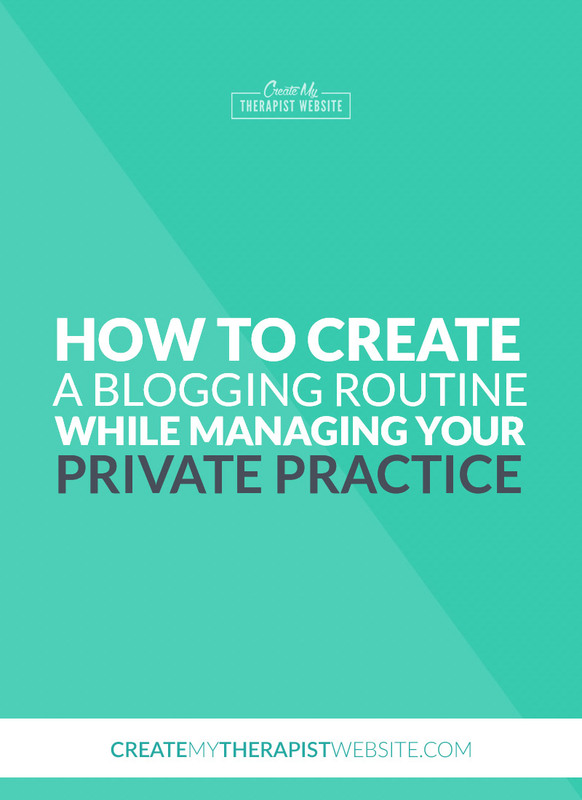 Blogging can be a wonderful way to connect with potential clients and grow your private practice. With a sound strategy in place, and one that is easy for you to maintain, you’re likely to keep this visibility strategy going – and see return on your investment for your practice. Katie Springs, LPC, BC-NCC, BC-THM understands the demands of a thriving private practice. 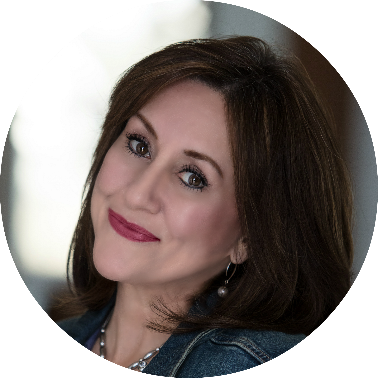 In addition to managing her private practice, she is a marketing coach for mental health professionals who want to be highly visible so that they can grow their practice and maximize their impact. 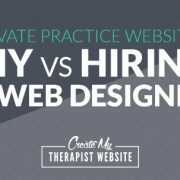 Learn more about Katie and The Savvy Private Practice at www.TheSavvyPrivatePractice.com. 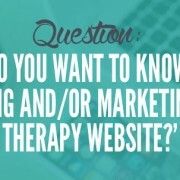 What Do YOU Want to Know About Creating and/or Marketing Your Therapy Website?